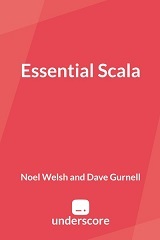 This book is aimed at experienced developers who are encountering Scala for the first time. Put your existing skills to use mastering Scala's combination of object-oriented and functional programming. The book teaches you Scala from the basics of its syntax to advanced problem solving techniques. We place a heavy focus on developing the functional programming mindset you need to get the most out of the language. Each section has a practical focus, mixing content with in-depth and exercises. If you are an experienced developer taking your first steps in Scala and want to get up to speed quickly then this is the book for you. To benefit from this book you should have one to two years’ experience with an object-oriented (e.g. Java, C#) or functional (e.g. Haskell, Lisp) programming language and a good general understanding of object-oriented or functional programming language concepts.